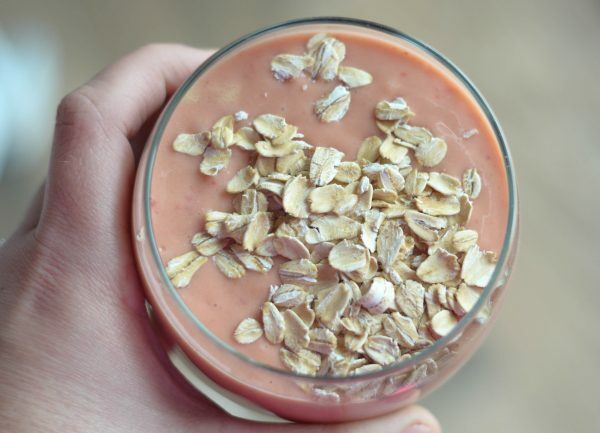 A great way to break up with daily snacking cravings is by making this tasty Berry Orange Banana Smoothie with Meta! Did you know that this month is National Heart Month? That’s right it is, that means we need to take a look and see just how good of shape our heart is. 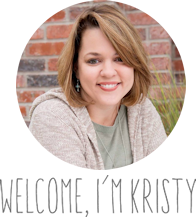 I’ve often thought lately about my own health as my husband and I are on a wellness journey, and really what it came down to for me is the heart is one of the most important organs in our body and if we aren’t taking care of it, the other stuff in our life won’t matter. If our heart isn’t healthy then we cannot be our best self for those around us, I think it comes down to realizing that we do have to put ourselves first in terms of health. Once we take care of ourselves, then we can help others at our best. I did a 180 with my diet and exercise starting just before Christmas, part of that was going to the gym 5x a week. I’ve now consistently done that for almost two months along with a healthy diet. One way that I can avoid the cravings is by using Meta Appetite Control. I’m easily able to add this to almost all foods and I feel more full between meals* and it helps me break up with snack cravings. 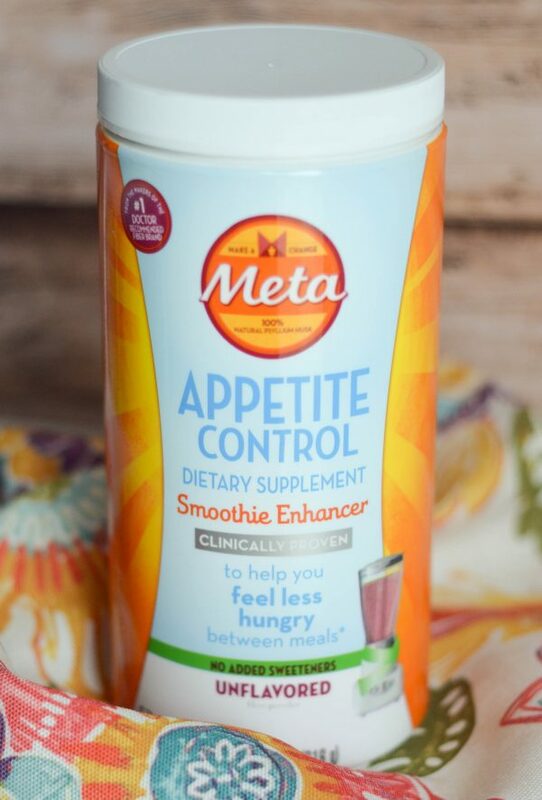 Meta Appetite Control is actually clinically proven to help curb cravings between meals. 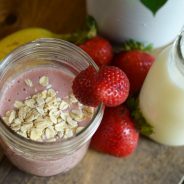 * I know for myself, it’s during those snack times that I am most hungry, so adding Meta to a smoothie is a great way to avoid that craving. Now, what I love is that they offer a Meta Appetite Control that is specifically for smoothies. 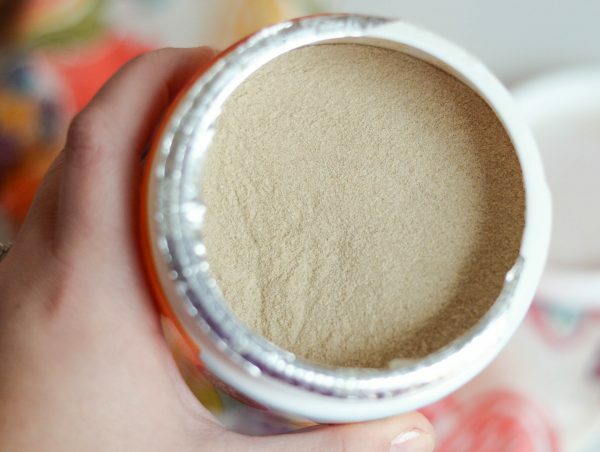 We add two teaspoons into our smoothies and have a delicious treat plus a boost of fiber too, and it helps us feel less hungry between meals.* . My husband likes to have his after a workout and then before lunch, so it’s those 4 hours between an early morning workout and lunch that he can use Meta Appetite Control. I mentioned though last month that based on the Meta Appetite Control Snack ID Quiz I’m a Mindless Muncher, that is so true. Now, with Meta Appetite Control, I actually rarely snack at all. 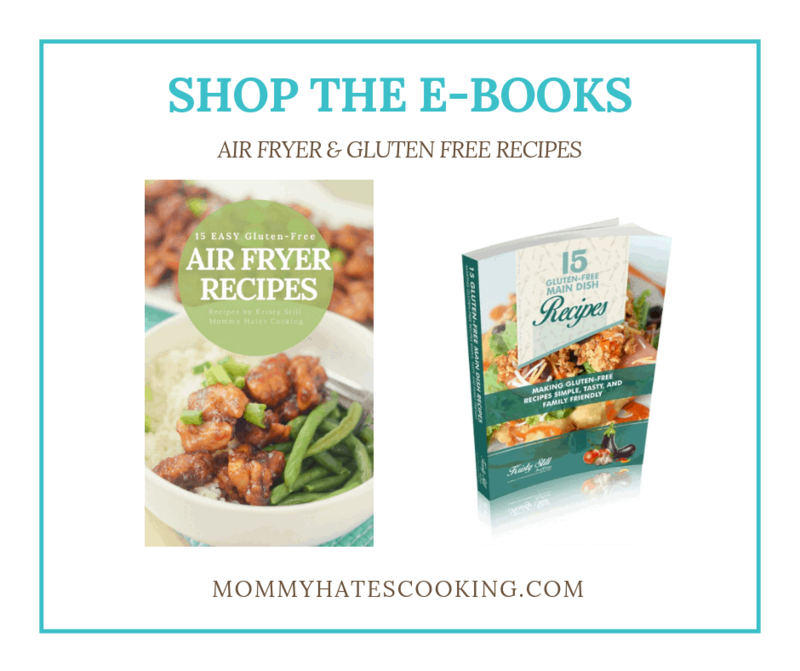 I’m on a very low-calorie diet and this helps me stick to it without grabbing for those handfuls of snacks that just add calories and no substance. Have you tried Meta Appetite Control? What ways do you add it to your foods? I’d love to hear some ideas. 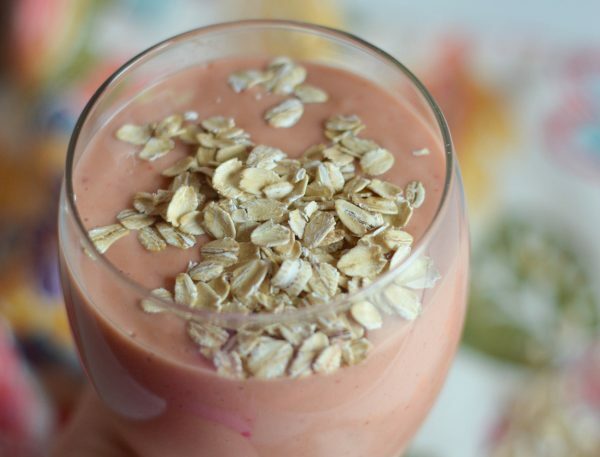 In the meantime though enjoy this Berry Orange Banana Smoothie! I love that! 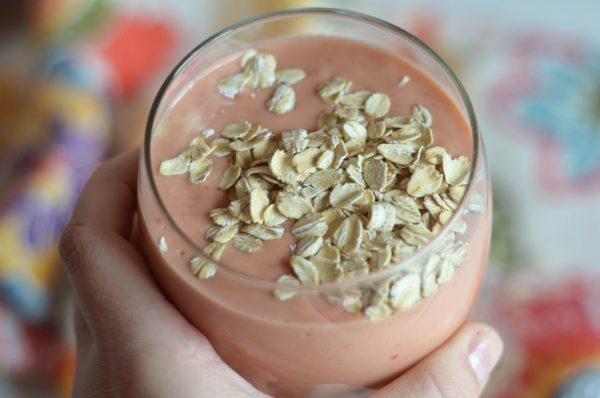 Smoothies are a great way to start the day. We have them every morning to get in all of our vitamins. Adding in the meta seems like it would make it even more healthy and filling. Any type of smoothie with bananas in it is a smoothie for me! 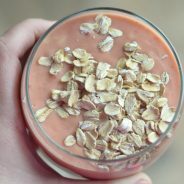 Love your recipe and how there is a garnish of oats. I am starting to drink smoothies for breakfast so I’ll have to try this out. 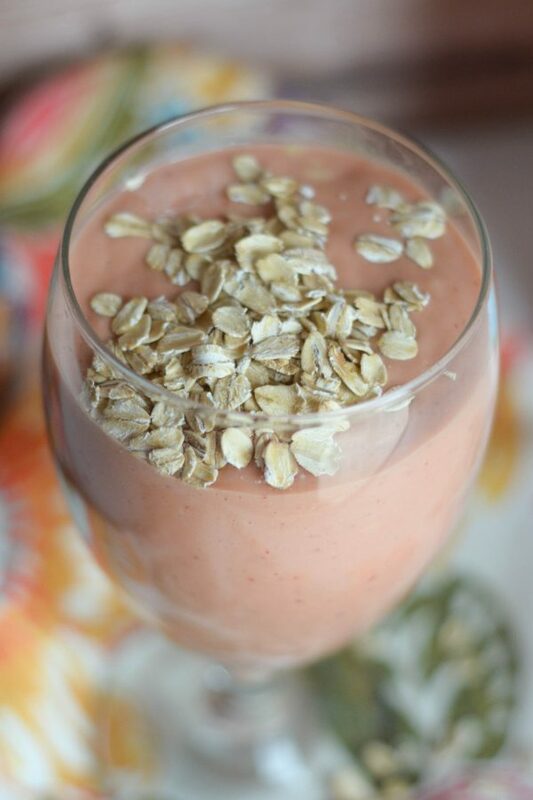 I love strawberries and bananas together in smoothies. I’ve never tried oranges mixed in, but it sounds delicious. 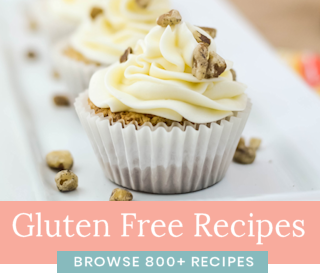 I’ve only been making banana and peanut butter ones because my protein powder is chocolate, but I think strawberries would go good in that one too. I take a smoothie every morning to start off my day. I never tried Meta though. I will need to give it a shot. It is so hard to find the right brand to stick with. Indeed IT IS National Heart Health Awareness month and we ALL need to take better care of ourselves! There are so many easy ways to do this but I was not aware of Meta! Thank you for this I will have to grab some because I make smoothies often through the week. Adding a healthy product like Meta is such an easy thing to do and is good for our hearts so why not!? I can imagine that this is very filling, because smoothies are already on the their own, at least for me! 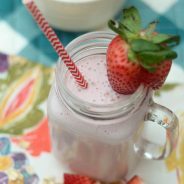 I know if I add quality, superfood ingredients to my smoothie, then it will keep me going until my next meal! I have a mad love for smoothies. 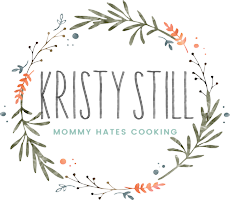 I’m not much of a cook and definitely don’t have time to eat a complicated breakfast, so they help get some nutrition in my in the morning without much fuss. This one looks so delicious, and I love how the Meta helps keep you feeling full longer. I’ve been drinking smoothies for quite sometime now. I experience cramps especially at night so anything with banana really helps to eliminate it. 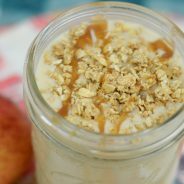 I will definite grab this recipe i love how you added oats and meta to make it more healthier.